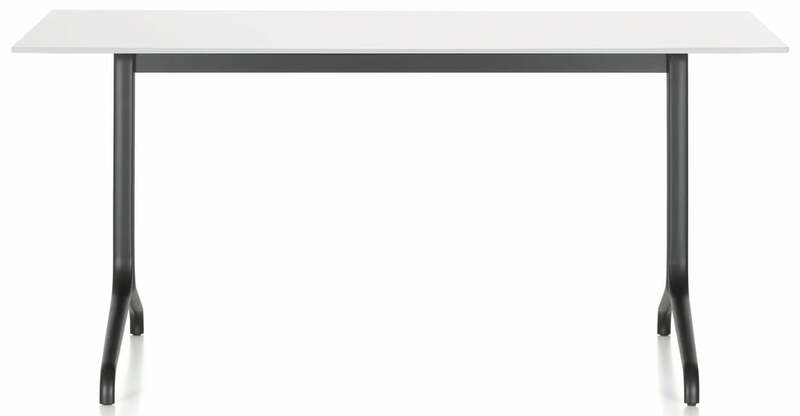 Melamine table top 19mm thick, white, smooth and straight edge, made of white plastic. 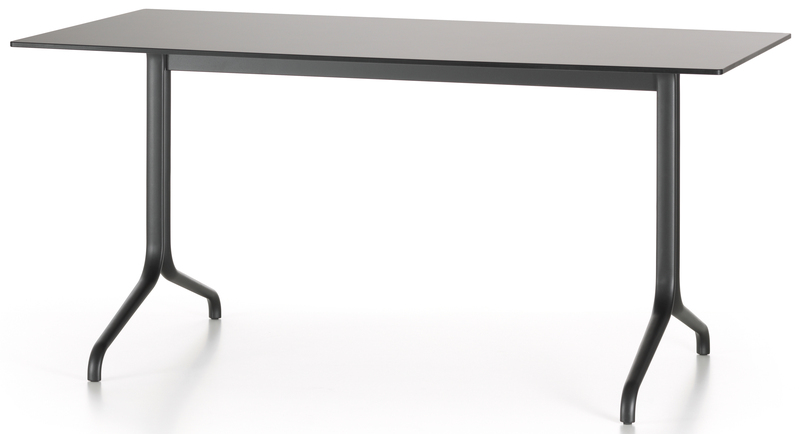 Laminate table top 12mm thick, white or black, black edge, anti-fingerprint coating. Outdoor use possible. 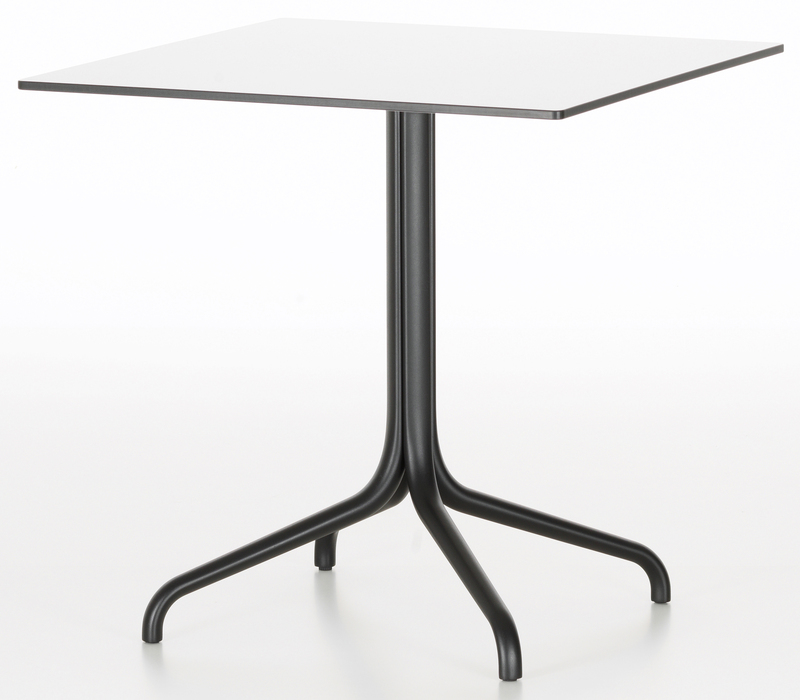 The Belleville tables with melamine or laminate top are part of the larger Belleville family, which includes chairs, armchairs, several tables with solid wood table top and a range of furniture for outdoor use. The Belleville family is a new collection developed by Vitra in collaboration with the designers Ronan and Erwan Bouroullec. Varied materials and muted colours characterize the remarkable hybrid chair and versatile tables. Through the harmonious coordination of their forms and materials, the chairs and tables can be attractively combined in a broad range of home interiors and establishments. 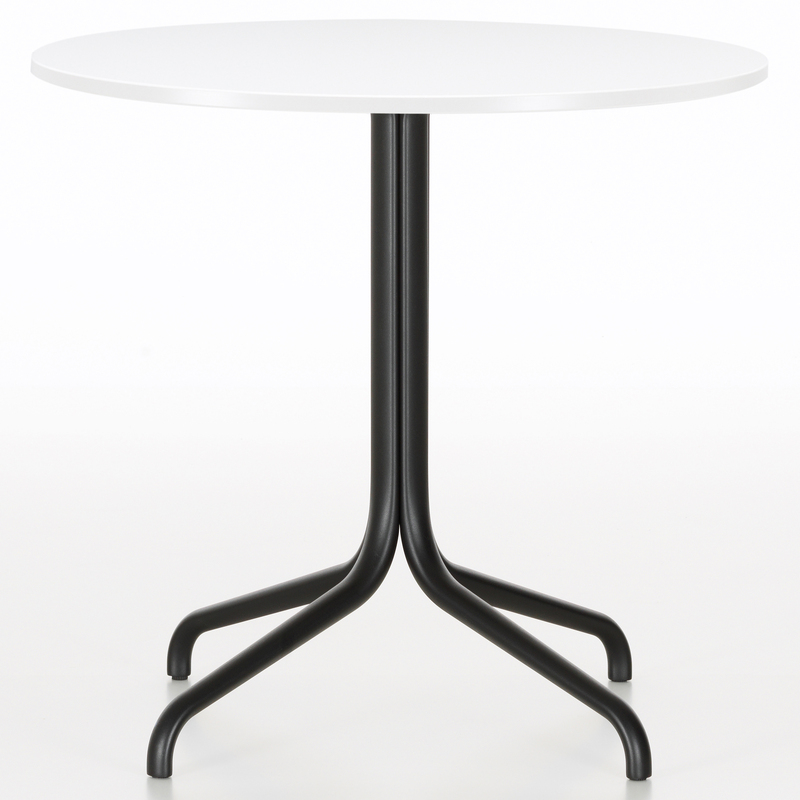 The Belleville tables are available in several shapes – round, square, rectangular – and several tabletops – wood, laminate and outdoor. 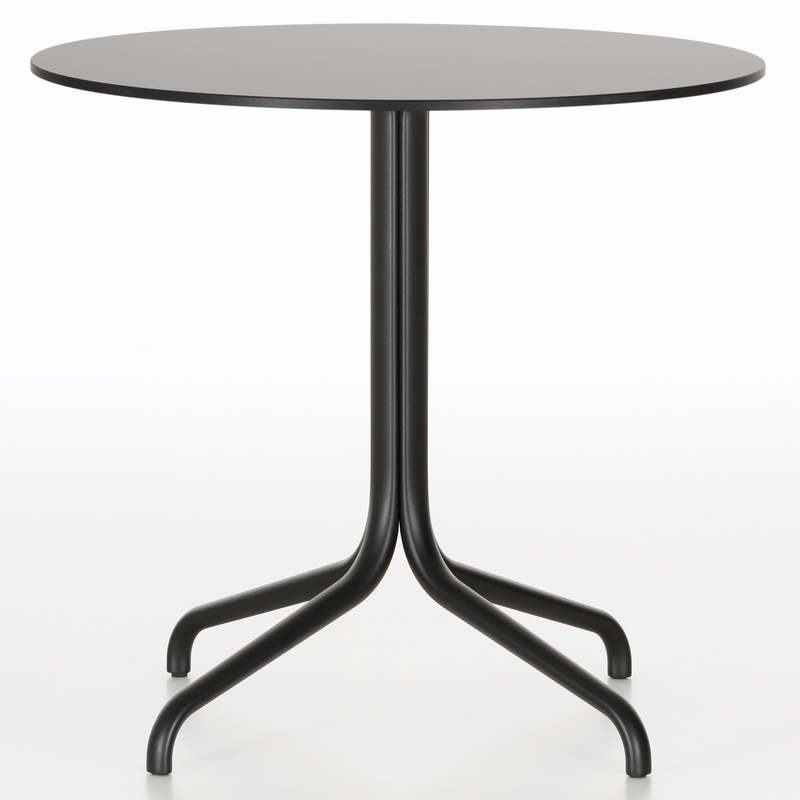 Their elegantly arched legs are made of cast aluminum with black epoxy finish.